In light of our new Headliners Club mentorship program, we’re running guest content on setting goals and personal training. Tell us what you’re working on and what you need some help with here! Are you trying to learn scales and patterns, but finding it hard to make yourself practice? Do yourself a favor, and practice over actual music. A student asked me to make him a playlist of harmonically static music that’s good for practicing over, so I thought I would share it with everyone. The music in this post is perfect for working out scales. Each track stays in a particular key or mode for long stretches of time, and has a slow or medium tempo. You can dig deep into the scales associated with each one without needing to worry about form or rapid chord changes. Here’s the Spotify playlist. 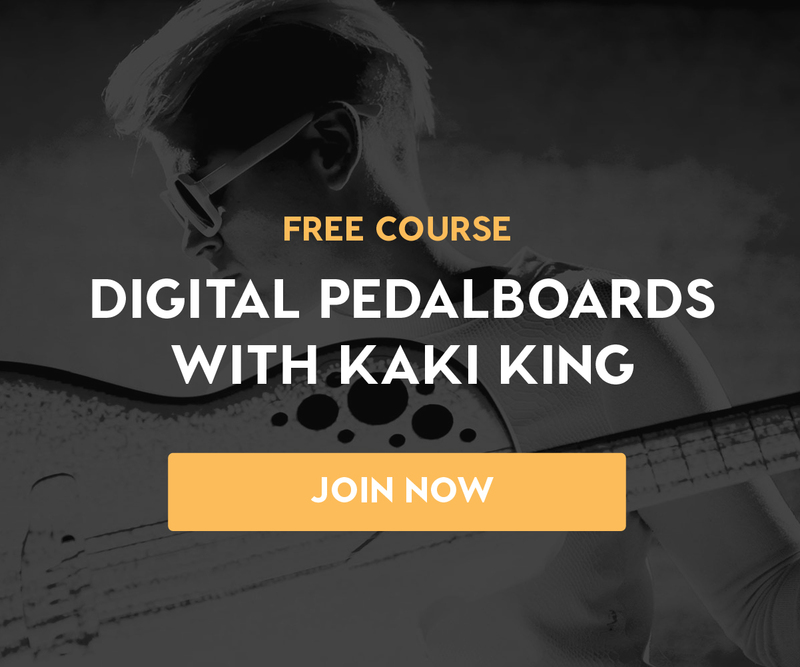 And, brush up on any of the following scales and modes in Soundfly’s free online course, Music Theory for Bedroom Producers. “Shhh Peaceful” — D Mixolydian (or blues, or major, or really anything). “In a Silent Way/It’s About That Time” — The slow part is E major (or Lydian, or blues), the funky part is F Mixolydian (or blues, or Dorian). “He Loved Him Madly” — C Phrygian (or blues, or natural minor, or any minor scale). “India” — G Mixolydian (or blues, or major, or really anything). “Spiritual” — C natural minor (or blues, or Dorian, or any minor scale). “Overtake Don Overtake Overtake” — G Dorian (or blues, or any minor scale). “Beasts of No Nation” — G natural minor (or blues, or any minor scale). “Green Chimneys” — A♭ Dorian, goes to B major on the bridge. “Fat Albert Rotunda” — F Dorian (or blues). “Chameleon” — B♭ Dorian (or blues) — Just skip the strange chromatic parts toward the end. “Don’t Stop ‘Til You Get Enough” — B Mixolydian. “Bad Like Jesse James” — E blues (or Dorian, or natural minor). “Music for Airports” — Piano section is D major, voice section is F minor, brass part is sort of in B♭ major but is too out of tune to be worth playing over. Here’s a great, long playlist of ’90s hip-hop instrumentals. You can figure out the key centers for these by trial and error easily enough. It’s a good exercise. Please feel free to make more suggestions in the comments! Join Headliners Club and take a giant musical leap forward in one month with a Soundfly Mentor. It’s like having a “personal trainer for your music,” with a series of musical workouts, a whole lot of feedback and support, and the chance to accomplish something you’ll be proud of. Explore Headliners Club today and click here to tell us more about your musical goals. We’d love to help you reach them!